Performing is in Ginger’s genes. She’s a great mimic, has bucket loads of expression, great timing, knows how to milk her audience and loves the sound of her own voice! All this combined with an infectious giggle, inquisitive nature and sparkling eyes, she’s a little gem! 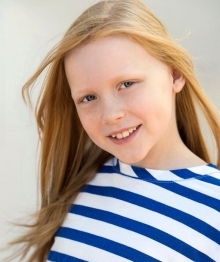 Ginger was a pleasure to work with on the recent Paul’s Zymil TVC shoot. The character she was portraying required a lot of confidence and sass, which Ginger brought to the role very confidently. Ginger is quite the character! Such a great energy.